Every time we pray the “Hail Mary” prayer, we pray for the sacred hour of our death. In so doing, we entrust that hour to our Blessed Mother so that she will intercede for us at the moment we need it the most. Another holy prayer to pray in preparation for that hour is the Chaplet of Divine Mercy. Too often we fear the moment of our death. And though this is understandable to a certain extent, we must allow our Lord to reveal to us the importance and sacredness of that holy moment. Everything in this life must be but a preparation for this last hour of our earthly life. If we have sought the abundant Mercy of God throughout life, then we will be assured of His Mercy at our passing to the next. 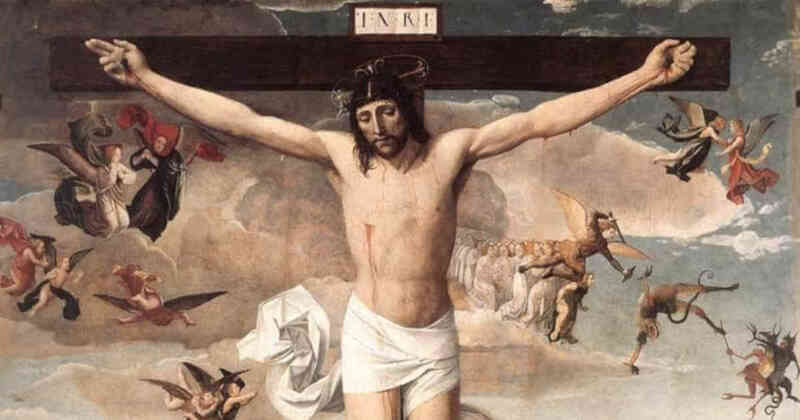 If we have not, we must still trust that His Mercy is infinite and, as long as we have breath and life, He offers to flood us with His holy gift (See Diary #811). Do you fear the hour of your death? Or do you fear the hour of the death of your loved ones? While this is normal and understandable, we must strive to see that hour as an hour of great Mercy. God loves, with a profound love, the soul who is in this last hour of life. He looks with holy anticipation upon the soul desiring the full and imminent union that awaits. Reflect upon your sacred hour. Know that our Lord desires to begin your preparation for this moment today by continually increasing His Mercy within you. Allow that Mercy to pour forth and allow it to prepare your heart for the moment that you are privileged to see our Lord face to face. Blessed Mother, please pray for me now and at the hour of my death. Dear Jesus, I desire that my heart be always prepared for the moment when You call me to Yourself. May all I do in this life become a preparation for that moment of passing, and may I receive in this hour an abundance of Your Mercy. Lord, please also give me the grace to help prepare others for this sacred hour and to pray for them fervently when that time comes. Jesus, I trust in You.